E3 2016 Day Two: Microsoft, Ubisoft, and Sony! 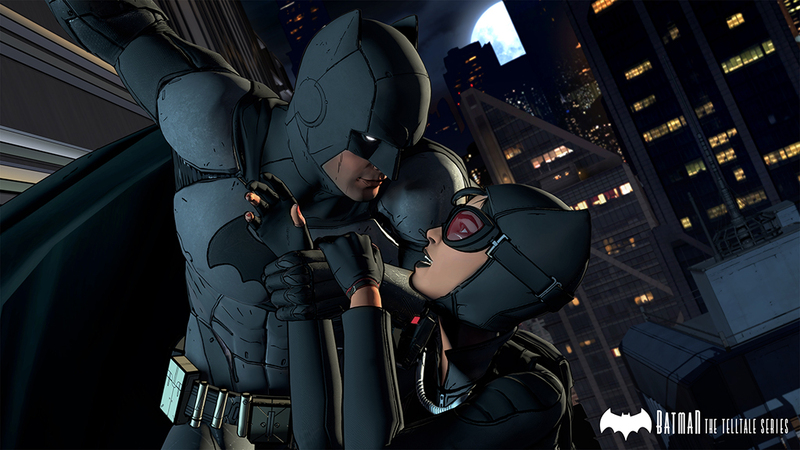 Telltale showed off some screenshots of their upcoming Batman: The Telltale Series. You’ll be able to get it later this summer on Windows, Mac, consoles, and mobile devices. Telltale also revealed a trailer for the third season of The Walking Dead, available this fall. Clementine looks a little older than the last time we saw her. Klei Entertainment has a trailer and a Steam page for their upcoming game Oxygen Not Included. I’m SO EXCITED for this! Xbox One S will be coming in August, starting at $299. It’s quite a bit smaller, lets you store 2TB of data, and has a redesigned controller. Speaking of controllers, you can now design your own custom XBO controller! It costs $79.99 and you can do it here. Gears of War 4 will have crossplay between XBO and Win10 players, which is called the Xbox Play Anywhere program. A new character, Kait, is voiced by Laura Bailey. Forza Horizon 3 will be set in Australia and have a four-player co-op campaign. It’s out September 27. ReCore has a woman protag (Joule Adams) with a robot dog and a bunch of robot sidekicks. WHAT MORE DO YOU WANT?! The Division is getting an expansion pack called Underground on June 28. Xbox Live is getting a bunch of upgrades: more servers, language selection, Cortana, easier group matchmaking, and a feature called Clubs which is like Sony’s Communities. Minecraft is getting crossplay between all platforms that use Xbox Live (XBO, PC, iOS, and Android), along with dedicated servers. The new game from the makers of Limbo is called INSIDE and looks equally as mysterious and creepy. We Happy Few is also super-creepy looking, set in 1964, and you’ll be able to play it next month. Gwent, the card game from The Witcher, is getting its own spinoff game. You’ll be able to play the beta in September on XBO and PC. Tekken 7 will be coming to XBO. Dead Rising 4 is also coming to XBO, and it will be Christmasy! Scalebound is the newest game from Platinum, and it looks SUPER awesome. There are dragons! Sea of Thieves is an upcoming cartoony-looking pirate MMO, and I’m all over that. State of Decay 2 is coming NEXT YEAR! You can play a beta of Halo Wars 2 from now until June 20. The game itself is out on February 1, 2017. Project Scorpio is a new console that will support VR and 4K gaming. You’ll be able to get it for the 2017 holidays. That’s a LOT of cool stuff! I think I’m most excited about State of Decay 2 and Sea of Thieves. Just Dance 2017 was announced for everywhere, including the Nintendo NX next year. Ghost Recon Wildlands will be out on March 7, 2017. You can play the entire game in four-player co-op if you want. South Park: The Fractured But Whole (what a gross title) will satire superheroes. It comes out December 6 of this year. You can play as a girl this time! The aformentioned Division: Underground DLC is out on June 28 for XBO/PC and August 2 for PS4. There will be randomly-generated areas that you can fight in. They also announced a DLC called Survival. Eagle Flight VR is a VR game where you’re an eagle who plays capture the flag and gets into dogfights with other eagles…so eaglefights really. Star Trek: Bridge Crew for VR looks really awesome and is the first VR thing that I’ve gotten more than mildly interested in. For Honor involves vikings, knights, and samurais. They’re all fighting and you need to make them work together to defeat a common enemy. You can play on February 14, 2017. Grow Home is getting a sequel called Grow Up. There’s going to be a Trials/Blood Dragon crossover called Trials of the Blood Dragon. Next up was a presentation from the Watch_Dogs 2 team. The main character is Marcus, a black actor, and the plot is about…hacking I guess. They used a lot of words like “botnet.” It looks really pretty and it’s cool that the protagonist is a black man (still rare for AAA games). You can get it November 15th this year, and you can get a robot with the collector’s edition. A ROBOT. The last game of the conference was a new IP: Steep. You’ll be skiing, snowboarding, paragliding, and playing in the snow in other ways. It looks GORGEOUS. It’s an open world, and there are lots of ways to play with your friends and share your experiences. This is one I’m really interested in playing, but I hope you can play it in less nauseating ways, haha – the first person stuff looks like it would affect those with motion sickness. First up from Sony was a really sweet orchestral performance that went into footage from the new God of War game. It looks absolutely gorgeous. I’ve never played a God of War game, but it looks like Kratos has a kid now and is teaching him his ways. I feel bad for the little boy, he’s too sweet to be a Kid of War. I wonder if you can make Good Dad choices along the way. Next, a couple of trailers: sweet-looking new IP called Days Gone, which I’m interested in because motorcycles seem pretty central, and I’m a sucker for motorcycles; more footage from The Last Guardian, where I REALLY NEED TO HUG THE GIANT DOG. Then came a lot more gameplay footage from Horizon, which has a lady protagonist who fights robot animals and uses dialogue wheels. Give me dialogue wheels. Everyone on Twitter was excited about dialogue wheels too. We got a new trailer for David Cage’s new game, where everyone hates androids in Detroit. I’m really, REALLY hoping this game is good. I need to be an android detective. Don’t let me down, David. Then a very, very creepy trailer for Resident Evil 7: Biohazard (I was recoiling from the screen). You can play the demo now with PS+! It will be out January 24th and can be played on PSVR as well. Speaking of, that’s out on October 13, 2016 for the price of $399. There will be fifty games available up front. Following the announcement, we had a small showcase of upcoming PSVR titles. The first was Farpoint, which looks like a cool space explorer/shooter that I wonder if it’s possible to play without VR; then a Star Wars: Battlefront X-Wing VR mission (another thing that made me interested in VR! ); Batman: Arkham VR, which I assume comes with a special Batman VR mask; FFXV will have PSVR elements. Call of Duty: Infinite Warfare looks amazing if you like space a lot, and Call of Duty: Modern Warfare Remastered is coming too. Crash Bandicoot, Crash Bandicoot 2, and Crash Bandicoot: Warped are being released in remastered editions for PS4, and I feel like that was the most the crowd yelled all night. You can create your own Skylanders in-game in Skylanders: Imaginators out this October, and Crash is also in the game. You can get the demo of Lego Star Wars: The Force Awakens right now! The game is out in two weeks (I’m so excited!). Then, HIDEO KOJIMA SHOWED UP! With a brand new game starring Norman Reedus! It’s called Death Stranding and I need it. The hits just kept on coming – the next trailer was for a new Spider-Man game! I feel like we haven’t had a new superhero game in a long time (minus the Lego games). Then we got a longer demo of Days Gone, which I really want just so I can zoom around on a motorcycle. It looks so stressful though! I’m excited about a lot of the things that Sony showed off, and I think that the way that Sony presented it (basically just all game footage and very little talking) was great! We have to wait a while for a lot of the games that were shown off, but I think it will be worth it. What are you excited for? Let me know in the comments!